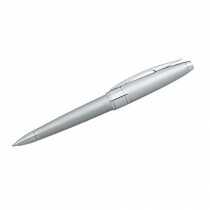 Cross Apogee pen in modern brushed chrome with polished chrome appointments. 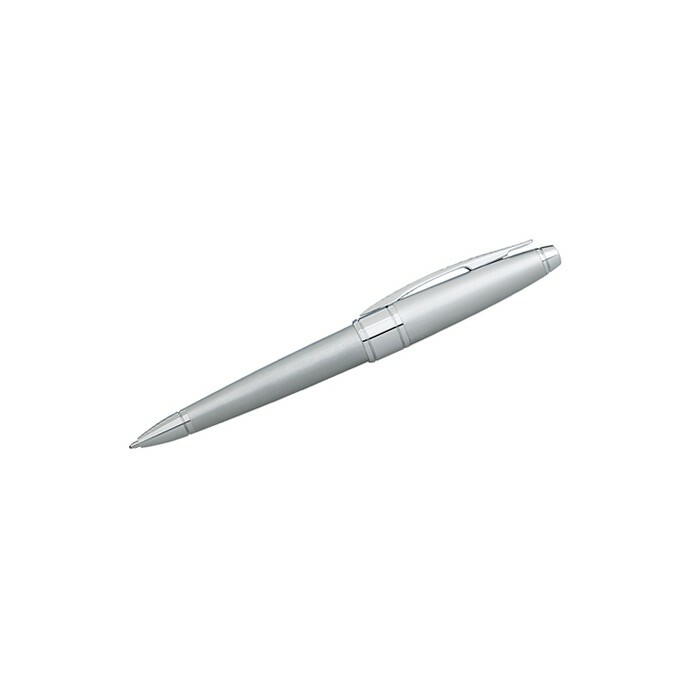 Medium black ballpoint with propel and repel feature. Lifetime mechanical guarantee. Premium gift box.